Why Choose Barry's? - Barry's Pizza Has Been Serving Awesome Pizza For Over 30 Years! We know Barry’s is the best pizza in H-town! We hand-make each pie from the finest & freshest ingredients for truly outstanding quality & taste. Our cheese is our own exclusive recipe, aged to perfection. Our dough is made daily, both for hand-tossed & deep dish. We take time to prepare twice-risen deep dish, providing a lighter, more tender crust than our competitors. Our sauces are made daily with beautiful ripe tomatoes fresh-packed within hours of picking, providing that ‘truly fresh’ flavor. 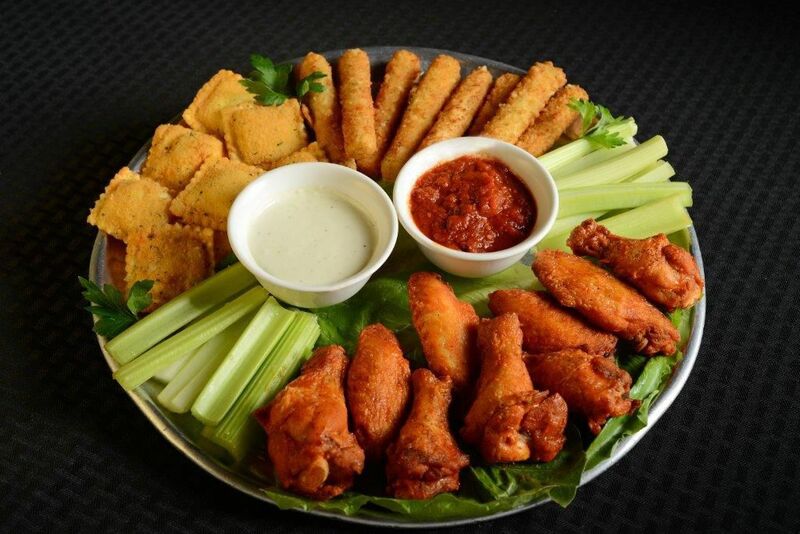 All of our sauces are made fresh daily; each appetizer, entrée & salad is prepared to order. Chi mangia bene, vive bene! He who eats well, lives well! Lunch or dinner can be picked up or delivered to our guests at home or the office. Order online for convenient pick up or delivery service, or if you prefer, we will answer your phone call with a smile! Barry’s is the place to be when you want a delicious meal on your short lunch break! Call ahead & we’ll have your freshly prepared lunch waiting for you when you arrive. Corporate clients enjoy the peace of mind that our delicious meals will arrive on time for their business meetings, served by professional staff. We offer competitive pricing for corporate delivery! Corporate clients planning lunch for business meetings can conveniently order on our Advanced Day Online Order site! But good food is only half the recipe for your favorite place to dine out! We take the old Italian proverb to heart that says “A tavola non si invecchia,” which translated into Texan speak means “Ya don’t git old while your sittin’ down to dinner!” Our staff is passionate about hospitality, and catering to every individual and party that chooses to visit us! If you are a craft beer lover, join us on Wednesdays at 6pm for pint night with fun, knowledgeable reps from local breweries. If you are more into wine, you can choose from our carefully selected wine menu or bring your favorite bottle to enjoy with our scratch cooked food. We welcome couples & families to bring their favorite bottle of wine to enjoy with our scratch cooked meals! NO CORKING FEE because we know that your favorite wine with your favorite pizza turns any meal into an occasion. Amici e vini sono meglio vecchi. Old friends and old wine are best. Join us for family fun on Kid’s Night ,every Tuesday from 6-8pm June through August, and once a month during the school year! Kid’s get to make their own pizza! While they wait for it to cook, they can enjoy complimentary face painting & balloon animals by the amazing Shelly. They also have fun tossing dough with our friendly staff! Don’t forget to share the gift of great pizza with your friends, family, & co-workers! It’s now as easy as the click of a button; you place the order and we will mail out your Gift Card with a personal note Barry’s Gear also makes for great gifts! Check out our t-shirts & hats. We also bottle our own Italian Dressing, which is great on salads, and for marinating chicken. Our two liter, German style growlers are great for taking your favorite craft beer home to enjoy.